Download our 2017/2018 financial accounts here. The Joffe Charitable Trust has made a grant of £20,000 to support our advocacy and campaigning work in 2019, with a particular focus on the taxation of wealth. 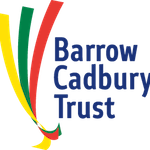 The Barrow Cadbury Trust has made a three-year grant of £75,000 from January 2018 to December 2020 to support our advocacy and campaigning work. The Friends Provident Foundation has made a two-year grant of £91,576 from February 2018 to January 2020 to support our advocacy and campaigning work. Funding for Social Change Ltd made a one year grant of £20,000 in February 2018 to support our advocacy and campaigning work. Previous funders include the Joseph Rowntree Reform Trust, which provided a seed grant of £7,350 to launch Tax Justice UK between July and September 2017, and the Andrew Wainwright Reform Trust, which provided a small grant of £7,996 to support the further development of Tax Justice UK, from October to December 2017. Tax Justice UK receives a number of small-scale donations from members of the public. These were less than £1,000 in total for the 2017/18 financial year.